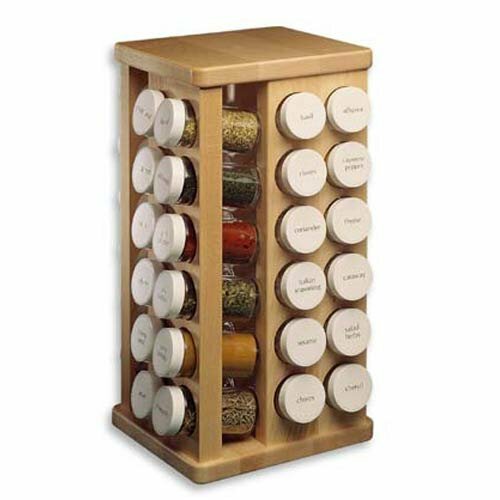 J.K. Adams revolutionized their 48 Bottle Spice Storage Carousel when it was designed in 1982. Constructed like fine furniture, the J.K. Adams clear finished hard rock sugar maple Spice Rack has an ultra-smooth surface and turn on industrial ball-bearing swivels. New cooks will appreciate this 48-bottle rack. This is still the one you pass down to your children. White screw-on caps, snap-on sifters, round washable labels and 3-1/2 oz. flint glass bottles are included.